This week I attended Camp Pocket U, an experimental artists’ residency/kids’ art camp in Rouses Point, New York. A small town on Lake Champlain on the Canadian border, Rouses Point is completely unlike the wealthy waterfront town where I grew up. It’s a working-class community of about 3000 people with beautiful lakefront property still selling for under $100,000. Most residency programs cloister artists in isolated woodsy compounds, but Camp Pocket U, organized by Austin Thomas and Norte Maar, housed us in a local lakefront motel, organized lectures and events throughout the town, used the auditorium in the grammar school as studio and rehearsal space, arranged meals in local diners, created an arts camp for the local kids, and facilitated interaction with the community at large. Camp Pocket U, distinct from recent insular art projects involving pedagogy and social practice, such as the Bruce High Quality Foundation’s art school or Smack Mellon’s “Condensations of the Social,” has taken contemporary art practice out of the artists’ studios, galleries, and museums into the non-art community. Scarfing down Michigans, dancing to Guns ‘n’ Roses, and drinking Labatt’s at the annual barbeque on the town dock, we were like emissaries from the NYC art community building a bridge to the general public. But we aren’t the first artists to appreciate Rouses Point. 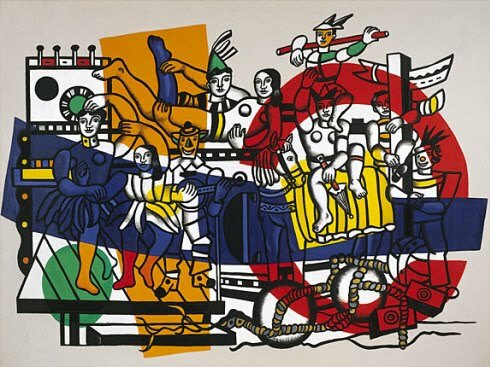 From a presentation on Sunday night by Norte Maar founder Jason Andrew, I learned that painter Fernand Léger was also smitten with this tiny, unaffected town, and, having fled France before the German occupation, spent several summers in the 1940s in a rented farmhouse on the edge of town. Here is an excerpt from Andrew’s research about Léger’s time in the northernmost corner of the Empire State. MARCH 1943: Cubist painter Fernand Léger discovers Rouses Point when his train is delayed for several hours on a journey to Montreal. ‘The Champlain Valley, with its fresh green orchards and French-speaking population, bore a resemblance to Normandy which captivated Léger.’ (1) He returns July 1 of that year and spends the summer at an old farm. Abandoned farm machinery overgrown with vegetation inspires many new compositions for paintings. “Among the sketches I saw at Rouses Point were some of a subject Léger had broached a couple of years earlier, jauntily attired cyclists and their machines – partly inspired, he said, by the American taste for outdoor sports and eye-catching clothes.”(3), as seen in Léger ’s “La Grande Julie” (1945). 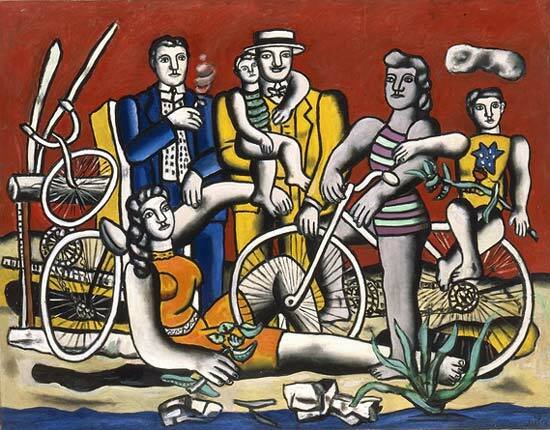 Léger spends his last summer in Rouses Point in 1945 before returning to France at the end of WWII. Stay Tuned for Part II: Camp Pocket U. (1) Kotik, Charlotta. 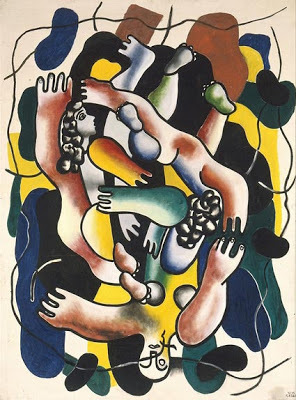 “Léger and America.” In Fernand Leger. New York: Abbeville Press, 1983, p 56. Thanks for putting Camp Pocket U. into a nice package that includes history, community and art. You were a true asset to the project! Thanks! You don't need a windfall–the kid's camp was FREE!